PinkPonyClubnl respects the privacy of all visitors to its site. That means that we will always handle any personal information in a confidential manner. We will only use your details in order to process your orders. The PinkPonyClubnl webshop will not sell your details to third parties and shall only make them available to third parties involved in the execution of your order, or when required by law. 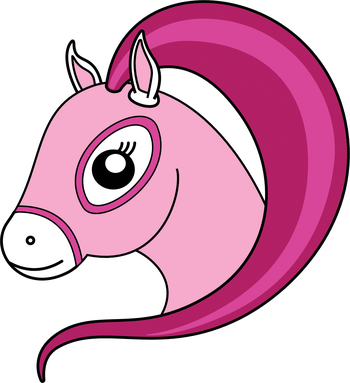 Once you place an order at the PinkPonyClubnl webshop, we will need certain information from you for a variety of purposes. Please see below for an explanation regarding what information we collect, how it is used, how we obtain it, what your rights are and how you can exercise them. In order to provide you with a high-quality and personal service, we need to know certain details about you. Those details will only be used in relation to services that you have specifically requested, such as an order you are placing or details that need to be changed. When you purchase something from our store, as part of the buying and selling process, or when you send us a message through the contact form on our website, we collect the personal information you give us such as your name, address and email address. When you browse our store, we also automatically receive your computer’s internet protocol (IP) address in order to provide us with information that helps us learn about your browser and operating system. See for more details the Google Analytics addendum below. When you provide us with your personal information to place an order, complete a transaction, verify your credit card, arrange for a delivery or return a purchase, we use your information for that specific reason only. If we ask for your personal information for a secondary reason, like marketing, we will either ask you directly for your expressed consent, or provide you with an opportunity to say no. We save your data for a period of one year, due to our standard one year guarantee on all products. You may always send us a request to delete your personal information, but please keep in mind that when you ask us to delete your personal information, you can't claim the one year garantee we give on products. You can contact us at anytime at info@pinkponyclubnl.com or through the contact form on our website. Our store is hosted by Jimdo. They provide us with the online e-commerce platform that allows us to sell our products and services to you. Your data is stored through Jimdo’s data storage, databases and the general Jimdo application. They store your data on a secure server behind a firewall. You might be interested in Jimdo's Terms of Service or Jimdo's Privacy Statement. If you choose a direct payment gateway to complete your purchase, then Mollie stores your credit card data. It is encrypted through the Payment Card Industry Data Security Standard (PCI-DSS). Your purchase transaction data is stored only as long as is necessary to complete your purchase transaction. After that is complete, your purchase transaction information is deleted. All direct payment gateways adhere to the standards set by PCI-DSS as managed by the PCI Security Standards Council, which is a joint effort of brands like Visa, MasterCard, American Express and Discover. PCI-DSS requirements help ensure the secure handling of credit card information by our store and its service providers. For more insight, you may also want to read Mollie’s Terms of Service, Mollie's Security Statement or Mollie's Privacy Statement. To protect your personal information, we take reasonable precautions to make sure it is not inappropriately lost, misused, accessed, disclosed, altered or destroyed. If you provide us with your credit card information, the information is encrypted using secure socket layer technology (SSL) and stored with a AES-256 encryption. Although no method of transmission over the Internet or electronic storage is 100% secure, we follow all PCI-DSS requirements and implement additional generally accepted industry standards. By using this site, you represent that you are at least 18, and at least the age of an adult in your state or province of residence, or that you are the age of majority in your state or province of residence. If you would like to: access, correct, amend or delete any personal information we have about you, register a complaint, or simply want more information contact us at info@pinkponyclubnl.com or through the contact form on this website.